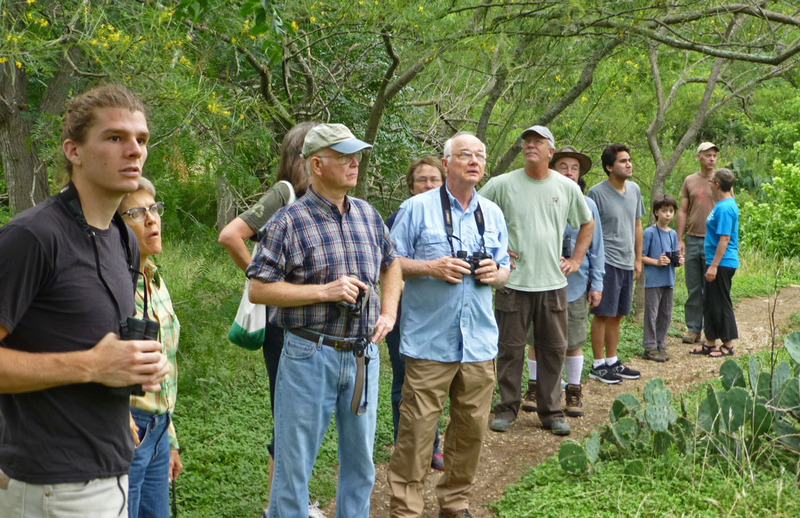 We are fortunate to have a variety of natural areas located around the City. Each property differs in size, features and trails. This means a variety of birds to view at each park. June 1st Stephen Ramirez led a group of us out Virginia Witte Way and back on Warbler Way. Highlights of the hour-and-a-half walk were a Summer Tanager, a Yellow Billed Cuckoo, who sat for admiring looks from each of us, and a pair of Chickadees in aerial sparring just feet from our view on the trail. The usual suspects of wrens, cardinals, titmice, vireos and others were also noted and observed. Recent rains have greatly enhanced the vegetation and colors in the 21 acres which led to spotting a toad enjoying his private pool of water in the base of a tree.